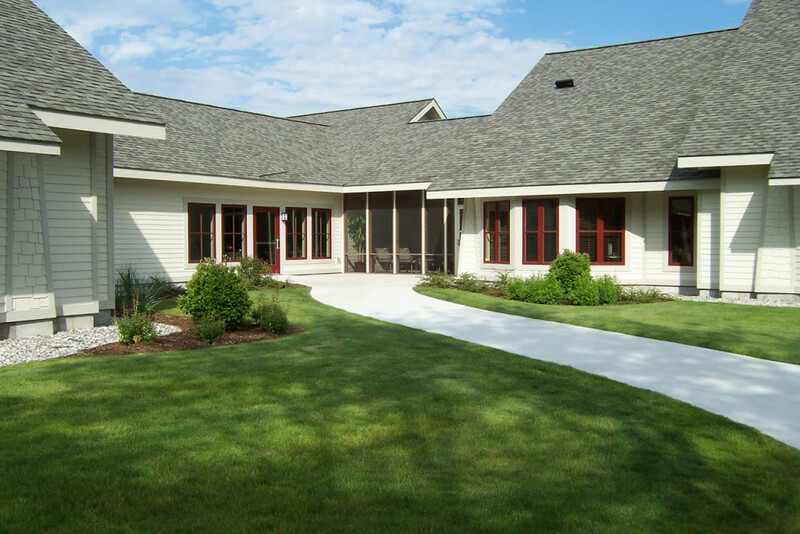 We invite you to take a video tour of the Poppen Hospice Residence. 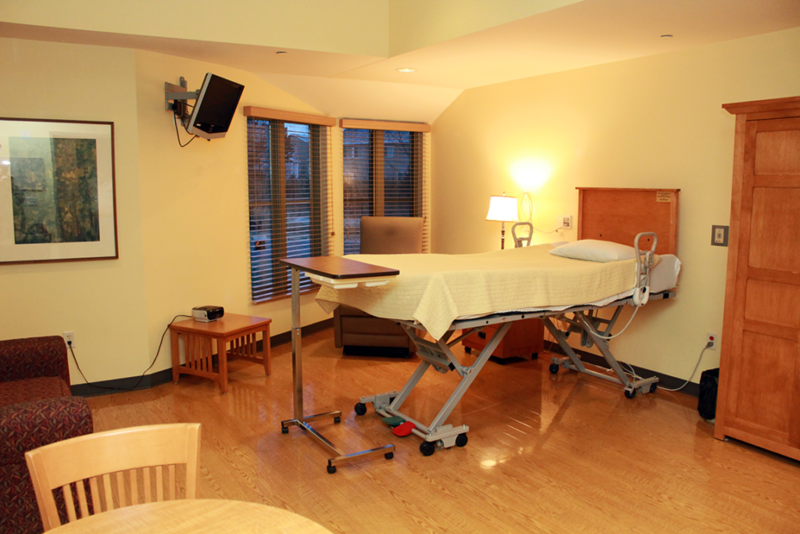 Please contact Harbor Hospice for more information or to schedule tour of our residence. 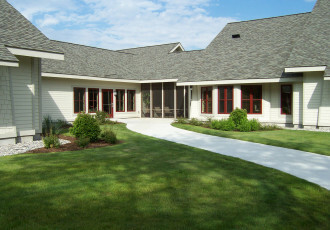 The Poppen Hospice Residence exemplifies the unique vision of Harbor Hospice providing people with the opportunity to live out their journey – on their terms – with the help of our expertise. 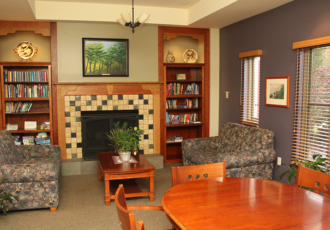 The Poppen Hospice Residence serves people who are terminally ill and in the final stages of life, when providing care at home is no longer the best option. Proceeds benefit the Poppen Residence. When a terminal illness keeps patients in bed much of the time, it changes how they experience life. With that always at the heart of the design, The Poppen Hospice Residence was built around the view from the pillow. Each of the 14 private patient rooms maximizes comfort in a home-like atmosphere where family will feel welcomed and relaxed. Families are invited to stay the night or go home to rest; there is always someone watching over loved ones while you are away. The Poppen Hospice Residence is picturesque during any season with walking paths large enough to accommodate patient beds during the warmer weather. 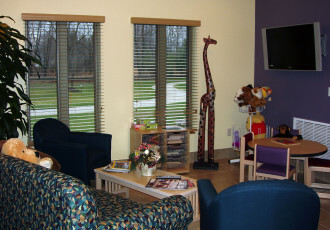 The residence is easily accessible from US-31 or I-96; and The Lakes Mall and other conveniences are nearby. 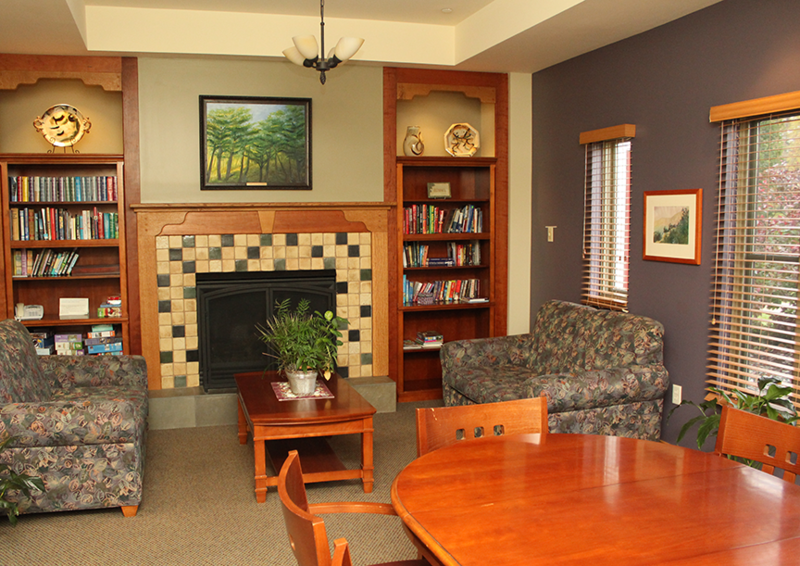 Patients at the Poppen Hospice Residence pay a daily room and board fee. Due to the comprehensive nature of the hospice benefit, services that would otherwise be subject to co-pays or proof of medical necessity are offered as part of the whole package at no additional cost to the patient. 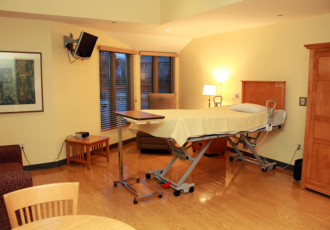 Hospice care also is typically covered in full by Medicare, Medicaid or private insurance. Community Funding is also available to those who qualify.